Another busy month for global big guns in Africa, with especially interesting activities from Facebook, Microsoft and Uber. But the continent’s tech startups continued to be on the receiving end of funding, while there were developments in other sectors as well. Facebook arrived in Africa this week, literally. The company announced it plans to open its first office on the continent, in Johannesburg, South Africa. The company touted the move as a bid to further its commitment to the continent; increasing Facebook activity in Africa has been evident over the past year. Facebook has 120 million active users in Africa, and has rolled out its Internet.org app in Zambia, Kenya, Tanzania and Ghana. The app arrived in South Africa this month after Facebook partnered mobile operator Cell C. Internet.org offers certain internet services, including Facebook, for free, to give many African consumers their first taste of the internet. Further rollouts are expected. Uber has been busy in Africa over the last couple of years, with launches in South Africa, Nigeria and Kenya. But its growth in Kenya has been slow due to low credit card penetration. The company moved to address that problem earlier in the month by allowing Kenyan users to pay with cash and mobile money, only the second such trial it has introduced globally. Competition in the Kenyan taxi market has been hotting up lately. Easy Taxi has expanded to Nakuru, alternative option MyTaxi launched, and Maramoja added motorcycle taxis to its platform. Not a month goes by without some kind of new Microsoft initiative in Africa, and this month was no different. 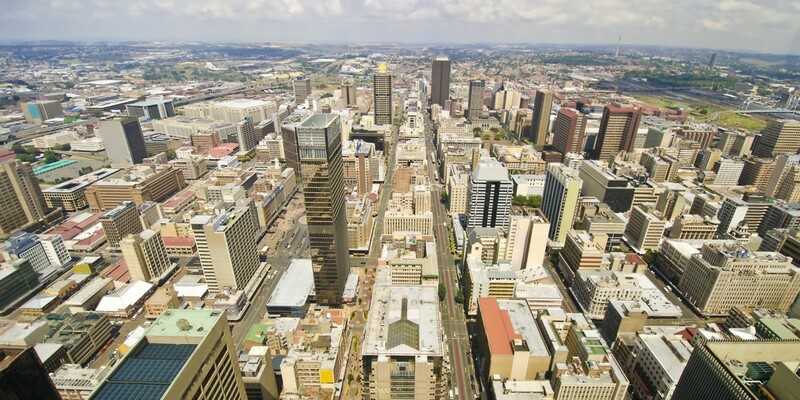 The company signed a memorandum of understanding with the City of Johannesburg to take part in the drive to transform the South African metropolis into a ‘smart city.’ The agreement will see the two partners collaborate on a number of initiatives in skills development, job creation and the promotion of SMMEs (small, medium and micro enterprises). Microsoft has also been active in the SMME space in Africa with its BizSpark programme, which offers technical expertise and mentorship to tech startups. The company revised that programme this month to offer extra support, and partnered South African accelerator Sw7 to run programmes in the country. Meanwhile, in Kenya, Microsoft has partnered the local copyright board to launch an online IP registration for Kenyan innovators. The launch of the online IP registration system continues a digitisation process in Kenya that has been picking up speed for some months. This month also saw Kenya Commercial Bank (KCB) partner with three universities to issue students with Higher Education Loans Board (HELB) smart cards in order to increase efficiency of student loans disbursements. KCB will distribute approximately 14,000 cards to students. Meanwhile, mobile operator Airtel partnered the Kenya Red Cross to launch an SMS-based public emergency service, and the Kenya Revenue Authority (KRA) rolled out its iTax solution across the country. The Kenya ICT Authority is in the process of digitising an online portfolio of news from the Kenya News Agency since the country’s independence. The biggest news of the month on the startup funding scene was that pan-African investor 88mph is to take a break from investing in startups on the continent, but there was still plenty of funding to go around in June. Global skills accelerator Andela closed an undisclosed but sizeable round to continue its expansion outside of Nigeria, which has already begun in Kenya. Another Nigerian startup, online cake ordering service Waracake, also raised funding. There was further interest in the online hotel booking sector as Zimbabwe’s Africabookings raised US$25,000 to expand its operations, while solar power startups from Nigeria and Cameroon won a total of US$5 million in investment after emerging winners of Access Infra Africa’s inaugural Access Co-Development Fund (ACF). Tanzanian classifieds Kupatana, South African e-learning platform iGrow and agri-tech startups Farmerline and Atikus also closed rounds this month. Plenty of developments, as usual, in the financial services sector when it comes to technology, with mobile operator Tigo partnering the Bank of Kigali in Rwanda to link mobile money service with bank accounts. MasterCard became the first international payments network to enter Somalia after partnering a local bank, while Nigerian e-commerce startup Konga acquired Zinternet for its mobile money licence as it looks to add new payment options to its service. Also in Nigeria, music streaming startup iROKING announced it was shutting down its desktop service to go mobile only. Ride-sharing app GoMyWay launched with much fanfare. Mara Mentor, an e-mentoring service for startups, launched in South Africa, as did Jump Software, a startup that allows other startups to outsource their technical requirements in return for equity. A number of South African startups are expanding, with Nomanini entering Ghana, TaxTim launching in Namibia, and Ekaya hitting Gauteng.